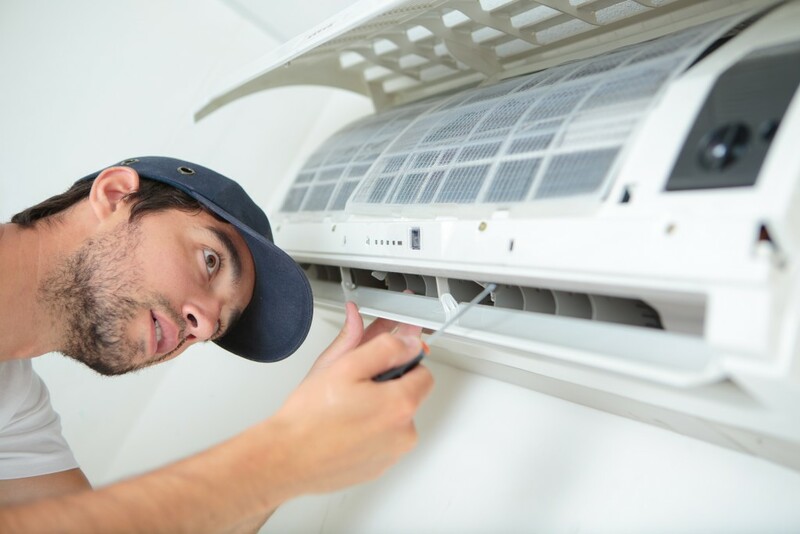 There are various issues that can affect air conditioning units. Some will require professional help, while others can easily be identified and fixed by the operator. The first thing to check if the unit does not work at all is the circuit breaker. If the breaker is in the ‘off’ position, switch it to ‘on’ and recheck the equipment. If the breaker trips again, call your HVAC service provider for help. If the breaker is in the ‘on’ position, check that the thermostat is set correctly. Try adjusting the thermostat to test its function. If it is not switching in and out, check the batteries for the unit and replace with new ones. 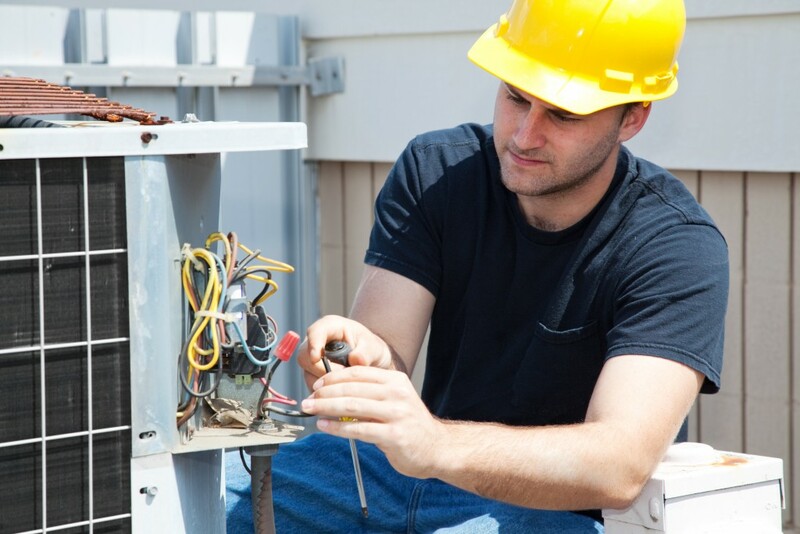 If the air conditioning unit still does not function, call you service provider for assistance. 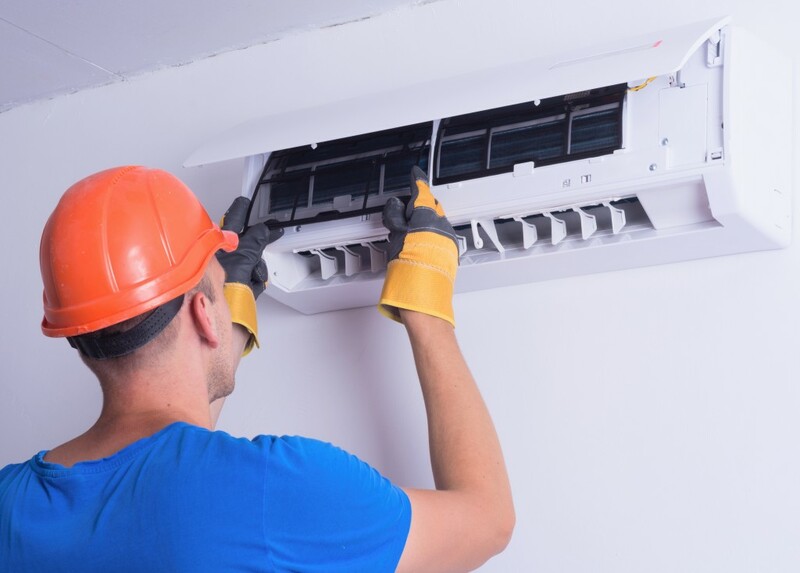 On some occasions, the air conditioner may be running but not providing the desired cooling effect. The first thing to check is the inlet filter. This can become blocked by dust and debris, restricting the air flow, so make sure it is clear and clean. You should also check around the outside of the air conditioning unit and remove any vegetation or leaves from around the unit. If the filter and surrounding area are clean and clear, check whether turning the thermostat right down has any effect. If this does not force cold air from the unit, it is possible the thermostat unit is broken and needs replacing. Check for any refrigerant leaks. If any are discovered, an HVAC professional should be called to repair the leaking unit. An additional check of the refrigerant levels can be performed by checking the larger copper pipe to the condenser – if the line is cold and ‘sweating’, refrigerant levels are probably OK. If you suspect a leak in the ductwork, call an HVAC engineer to undertake further tests. If you find that some rooms are warmer or cooler than others, this could be due to leaks in the ductwork supplying specific rooms. An engineer can help to confirm this. Before calling a professional, check that the warmer rooms are not due to sun exposure. The use of thermal blinds can alleviate such a heat source and even out the temperature between rooms. Failing these possibilities, a more sophisticated zoned air conditioning system may be necessary. Speak to your supplier. Water leaking from the air conditioning unit may simply be due to a blocked condensate drain pipe. Follow the manufacturer’s recommendations to remove and clear the drain pipe. If the water is coming from ice formation on the coils, this could be due to a blocked filter restricting the air flow or refrigerant leak. In such an instance, turn the unit off to defrost the coil and call an engineer. If the unit starts to make unusual screeching noises, this could indicate bearing problems on the motor. Refer to the manufacturer’s recommendations for lubrication maintenance. A clanging noise would indicate a more serious issue with the motor and should be professionally investigated, while a flapping sound could be debris trapped in the fan blades – turn off the machine and check.